How to Find Pomsky Puppies for Sale? Designer Pomskys or mixed breeds happen between two purebred ones and results in something better than the original. For example, a Pomsky comes from a Pomeranian and the Siberian Husky. It is stronger than a Pomeranian and smaller than a Siberian Husky so that you can keep it at home. They have a lot of positive traits which you will not find in the purebred ones. A Pomeranian does not get along with children, but the Pomsky loves kids. Why deterrent spray is the perfect training tool? A Pomsky has a wolf-like appearance and shining, bright eyes. A Siberian Husky is prone to eye diseases, but the defense system of the Pomsky is better than them. A Pomeranian Husky is the perfect companion for anyone who wants a friend. They are not lazy Pomskys. If you do not like excitement in the house, do not opt for this pup. Every time you open the door after coming home from work, it will jump in happiness and be eager to play with you. While you are living with it, you must have a lot of energy and the capacity to carry out different activities. If you are a Pomsky lover, the Pomsky is going to be excellent for you. They are easy to train because they are intelligent and smart. You will just need to put some time on grooming and taking care of its shedding. You should also look after its diet. These are essential when you bring home a new puppy. After writing your name on the waiting list, you will get the puppy at your doorstep when the date arrives. The breeders are working on making it look appropriate. It is somewhat similar to a little Siberian Husky. Whenever you are thinking of getting a mixed breed instead of a purebred, you have to know that the breeder plays an important role. They should pick out healthy Pomskys for your puppy. They should see what they are doing and be careful about selecting the parents with the right behavior and traits. They should also make sure that they are suitable for a family and make an excellent pet. For example, if the breeder was irresponsible and picked out a Siberian Husky that is full of anger, furious and aggressive, there will be nothing to do when you see that the Pomsky is not listening to you even after you care about it so much. It will be sad and disappointing that even after you provide it with everything it is not obedient or listening to you. Now in the world of technology, the internet has made everything easy. Simple, search for breeders online and you will get many results along with the price. A Pomsky can start from one thousand dollars up to three thousand. You will get them in many color and sizes. Some may look similar to a Pomeranian while others will resemble a small Husky or wolf. They are either brown or gray. You can visit the Pomsky shows to find out about the perfect breeder for a Pomsky. You can ask a vet or communicate with local breed clubs. You can utilize puppy finding services. Web sites may help you more than looking around in person because you can get what you want in a small amount of time. You can talk to people about the designer breeder you are interested which is the Pomsky. You can subscribe to related magazines that can get you one of those. 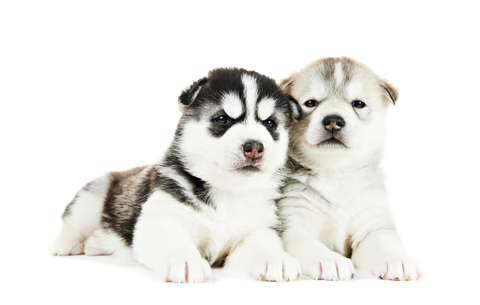 If you see anyone with a Pomeranian Husky, ask them about the breeder. There are many places you can go to find out about a reputable breeder for a Pomsky: training classes for pups, vets, grooming salons, pet stores and equipment shop for pets. While you hire a tax lawyer for yourself, you are going to ask a lot of questions such as, did he work with clients with some similar issues as you, what is their experience in this sector and what are the fees. The same goes for them as well. Ask them about their previous customers who took a Pomsky. An honest breeder will be more than happy to provide you with references. Ask about the health clearances. In this way, you can have a puppy who does not have any diseases. You will see that a puppy is looking healthy while many illnesses may be dormant inside them. Therefore, check for the heredity conditions. Ask about the parents and everything that comes to mind such as do they participate in Pomsky shows. You should know that the breeder is the right one if they are well-behaved. If someone is rude to you, then you should not continue dealing with them. You should see that if the breeder is having a lot of queries. That simply proves that the individual is caring and a good breeder. They may ask you about your past with pet Pomskys and why you are interested in the Pomsky. They will also ask you how you are going to take care of it and so on. You should look around before the confirmation. Does the puppies and Pomskys all look happy and comfortable? If they are all content, that could be a positive sign. Also, give importance to what the breeder’s clients said about him or her and the Pomsky. This entry was posted in Pomsky Price on September 6, 2017 by A pomsky.